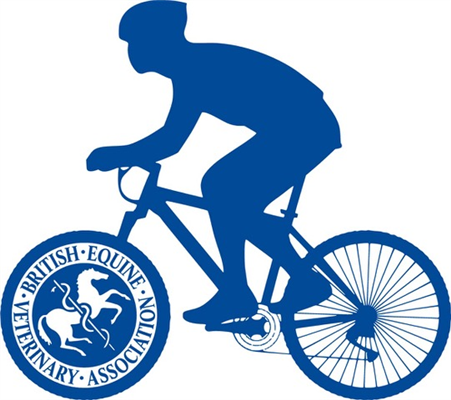 Jon Pycock, Yorkshireman and accomplished sportivist, has devised the fundraising event as part of his BEVA Presidential year. He has laid down three challenging routes in Yorkshire to suit all abilities, over the same roads used by the famous Ron Kitching the champion 1930s road racer. Each route starts and finishes at the iconic York racecourse and will be fully supported with excellent signage and feed and watering stops along the way. Participants can choose from a 35 mile largely flat ‘trot’ which takes in the city of York, a 66 mile slightly hilly ‘canter’ skirting the Yorkshire Wolds and a 91 mile ‘gallop’ over the Rosedale Chimney, which, according to Jon Pycock has “enough ascent to make Sir Chris Bonnington happy!” There will also be a short family ride on the afternoon of 2nd June so that children and less practised cyclists can get involved. Jon has competed in many cycle sportives over the past fifteen years including riding the Ride London 100 miler in under five hours. He has cycled over six thousand miles a year for the last three years and cycled many of the classic climbs in the South of France. The BEVA Trust provides opportunities, support, and funding to allow members of the veterinary team to volunteer for projects that seek to enhance equine welfare both locally and globally, and in partnership with other organisations. Vetlife is a charity providing emotional, financial and mental health support to the veterinary community.